A little about Steve Daley, Managing Director of Healthcare Financial Strategies. 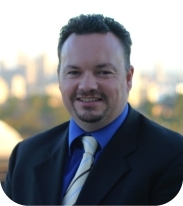 Steve Daley has almost 20 years experience in the finance industry. He is an asset finance and mortgage consultant specialising in assisting Healthcare Professionals. Steve has extensive experience in assisting busy Doctors and Dentists establish new practices. He also has trusted expertise in funding and growing existing practices, purchasing homes, other property, equipment and vehicles. Steve works closely with his clients and their advisors at every stage of the finance process. He has a vast network of skilled professionals who also assist Medical clients. Steve takes a “whole of life value” view of his clients. He believes the best clients are repeat clients and referring clients. Steve was born in the UK where he worked various legal firms. He came to Australia in 1995 and loved the lifestyle so much he stayed and started a new career in finance. Steve lives on Sydney’s North Shore with his wife and young son. He has a keen interest in property renovation and investment. When he’s not helping his clients Steve can be found In, On or Under the water as he is a keen sailor and a scuba diving instructor. Healthcare Financial Strategies is proud to be part of the Origin Finance Group. Origin is one of the largest mortgage origination companies in Australia. With over 60 brokers under the banner, Origin has the bulk and scale to source interest rates that are substantially below the major Banks’ quoted rates.